Can we use new techniques to measure pan-Arctic sea ice thickness from the satellite radar altimeter Cryosat-2 during summer months, for the first time? 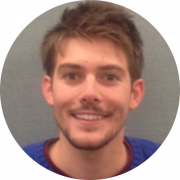 Jack is a Lecturer in Geodesy at the University of Bristol. He completed an Undergraduate Degree (B.Sc.) in Physical Geography at the University of Durham, U.K. in 2009, followed by a Masters Degree by Research (M.Sc. Res. ), specializing in airborne LiDAR remote sensing, at the same institution in 2011. He completed his doctorate (Ph.D.), specializing in Arctic sea ice geophysics and remote sensing through LiDAR and satellite laser altimetry, at the University of Manitoba, Canada in 2016. Between 2016-2017 he was a postdoctoral research fellow at the University of Manitoba, leading a project to measure sea ice thickness in the Canadian Arctic through satellite laser & radar altimetry, as part of the CFI/NSERC BaySys Program. He is a member of the Institute of Electrical and Electronics Engineers, including the Geoscience and Remote Sensing Society, and the American Geophysical Union. Integrate new sea ice volume estimates with ice drift obtained from sequential SAR imagery to monitor the seasonal mass balance of ice through important Arctic Ocean gateways. Read more in his research project sheet. Landy, J.C., Tsamados, M., and Scharien, R.K. (2019), A Facet-Based Numerical Model for Simulating SAR Altimeter Echoes from Heterogeneous Sea Ice Surfaces. IEEE Transactions on Geoscience and Remote Sensing, In Press, doi: 10.1109/TGRS.2018.2889763. Landy, J.C., Babb, D., Ehn, J.K., Theriault, N., and Barber, D.G. (2017), Sea ice thickness in the Eastern Canadian Arctic: Hudson Bay Complex & Baffin Bay. Rem. Sens. Env., 200, 281-294, doi: 10.1016/j.rse.2017.08.019. Komarov, A.S., Landy, J.C., Komarov, S.A., and Barber, D.G. (2017), Evaluating Scattering Contributions to C-Band Radar Backscatter from Snow-Covered First-Year Sea Ice at the Winter-Spring Transition Through Measurement and Modeling. IEEE Trans. Geosci. Rem. Sens., 55(10), 5702-5718, doi: 10.1109/TGRS.2017.2712519. Firoozy, N., Majobai, P., Landy, J.C., and Barber, D. (2016), Landfast First-Year Snow-Covered Sea Ice Reconstruction via Electromagnetic Inversion. IEEE J. Select. Topics Appl. Earth Obs. Rem. Sens., 9(6), 2414-2428, doi: 10.1109/JSTARS.2016.2525858. Landy, J.C., Ehn, J.K., and Barber, D.G. (2015), Albedo feedback enhanced by smoother Arctic sea ice. Geophys. Res. Lett., 42(24), 10714-10720, doi: 10.1002/2015GL066712.